HONOLULU — Start the Year of the Sheep with the world’s premier Asian Pacific American band. Hiroshima returns to Honolulu to celebrate the spirit of a “Thousand Cranes,” the fun of “Da Kitchen,” and of course, “Hawaiian Electric.” The double Grammy-nominated group features June Kuramoto, called “the world’s greatest koto player” by Stanley Clarke; local keyboard sensation Kimo Cornwell; and a special guest vocalist, Ewa Beach’s own Yvette Nii, who sang on 2010 Grammy-nominated “Legacy” CD. The program features vocal hits from the early albums, along with Hiroshima favorites and the vibrant new music of “J-Town Beat” (2013). Hiroshima celebrates 35 years in the industry and continues to top the charts with tracks from its current CD. 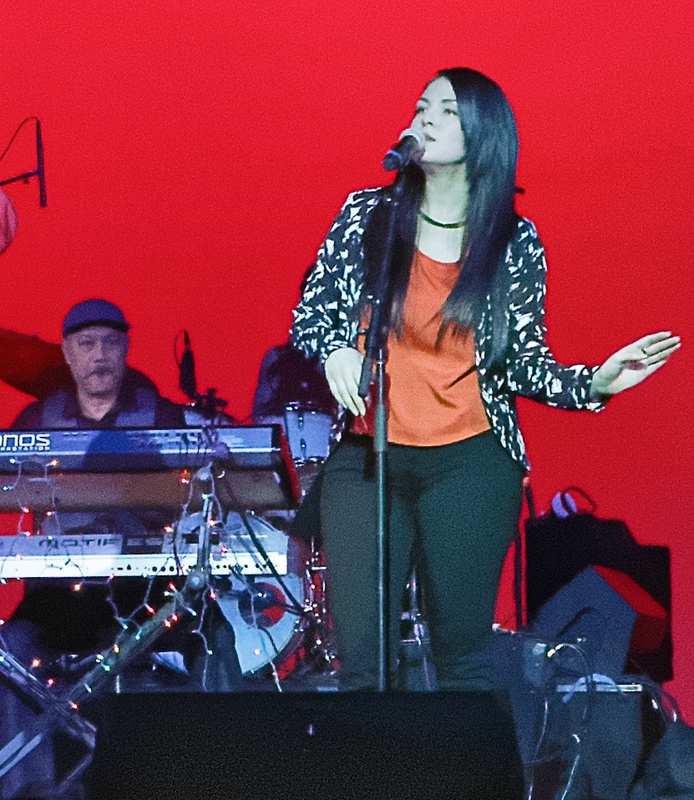 The group, led by co-founders Dan Kuramoto (saxophone, flute, shakuhachi, keyboards) and June Kuramoto, includes Cornwell, Danny Yamamoto (drums) and Dean Cortez (bass). The concert is presented by Apaulo Music Productions and the Sheraton Waikiki Hotel at the Magic of Polynesia Showroom in the Waikiki Beachcomber Hotel (third floor), located at 2300 Kalakaua Ave., Honolulu. All seating is cabaret table seating. VIP tables are reserved seats up front. Orchestra seating up front is $85. VIP seats: $75 presale, $80 at the door. Gold seating, Level 2 (open seating): $65 presale, $70 at the door. General seating, Level 3 (back of the room): $60 presale, $65 at the door. Group rates are available. For more information, call (951) 696-0184 or visit www.apaulomusic.com. Tickets can be purchased online www.tix.com/Event.aspx?EventCode=709864. Visit Hiroshima’s website at www.hiroshimamusic.com or go to www.facebook.com/hiroshimamusic.